The noisy cuprits--Comtrend's power line adapters. Whether you’re new to shortwave radio listening or have been an amateur radio operator for years, more than likely you’ve occasionally encountered electrical interference, that annoying hum or buzz that permeates your listening experience. This noise can often be difficult to pinpoint or eliminate. For most of us, the common culprits are fluorescent lights, computer monitors, televisions or even so-called “wall warts” (those ubiquitous AC adapters we use for most consumer electronics). For those of us living in sparsely populated rural areas, we can more easily find noisy interference in our own homes or on our farms (electric fences are notorious sound interrupters). If you live in an urban area, identifying interference can be a constant battle, since it may be the new LCD TV of the couple living in the apartment above you. Figure 1 - Shortwave interference from PLT devices. Click to enlarge. The fact is, these power line adapters use a smaller scale, more local version of a technology that amateur radio operators have long fought–namely “BPL”, or Broadband over Power Lines. 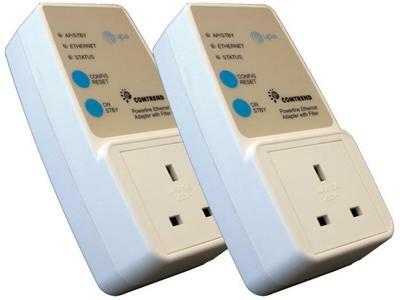 In this case, though, Comtrend’s power line adapters turn your home’s electrical system into a communications system–also called Power Line Telecom (PLT). 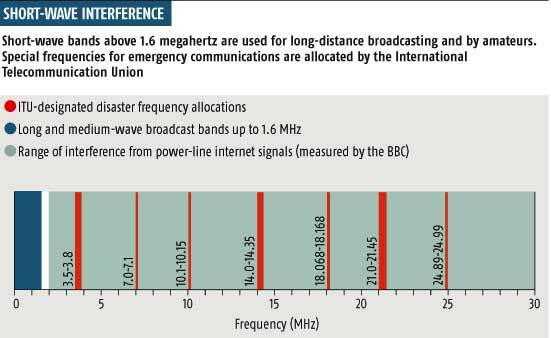 This novel (and possibly illegal) device has one crippling side-effect: loud broadband noise across most of the shortwave radio listening spectrum (see figure 1). I urge you to take a look at UKQRM’s website (15 Oct 2011 update: site now called “Ban PTL) and see what you can do to fight interference on our radio spectrum. Mike, on behalf of all radio listeners, thank you for fighting the good fight! This entry was posted in Articles, News and tagged BPL, BT, BT Vision, Comtrend, Comtrend Power Line Adapters, Mike Trodd, PLT, Power Line Telecom, QRM, Radio Interference, UKQRM on December 20, 2009 by Thomas. The Thanko Raremono USB shortwave radio. Ability to record radio programs live or schedule recordings of future broadcasts. 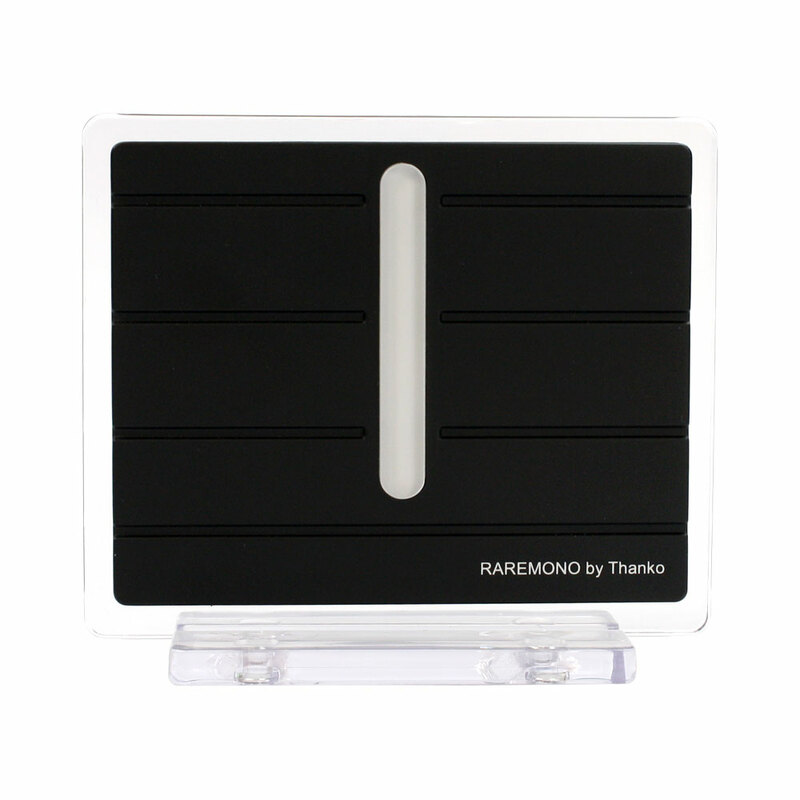 The Thanko Raremono USB Shortwave is available from the Thanko website for $45 US (English translation). Stay tuned–I plan to review this radio in the near future. This entry was posted in Broadcasters, News, Radio Modifications, Radios and tagged New Shortwave Radios, Raremono, Thanko, Thanko Raremono USB Shortwave Radio, USB Shortwave Radio on December 16, 2009 by Thomas.